Juncker, who is touring the Western Balkans this week, said in Belgrade on Tuesday (27 February) that Serbia had already covered an impressive part of EU tasks, adding that many were not even aware of how much the country had prepared for membership and praising the “impressive steps” that had been taken so far. After the Commission unveiled in early February a new enlargement strategy for the Western Balkans, a region in which four candidate countries and two potential candidate countries are waiting for accession, Juncker said there would be no “big bang” expansion of the kind that saw the EU going from 15 to 25 members in 2004. Instead, the countries would join the EU according to merit, he said and stressed that 2025 was but a prospect, an indicative date, rather than a set entry date for the two frontrunners, Montenegro and Serbia. Only two days earlier, in Albania, Juncker said that accession in 2025 could be a goal for all six countries, even though their EU bids are at different stages, with Kosovo and Bosnia still not confirmed as official candidates. On the issue of Kosovo, Serbia’s former province which declared independence in 2008, Juncker underscored that it was up to Belgrade and Priština to define the nature of the required legally binding agreement that should regulate full normalisation. 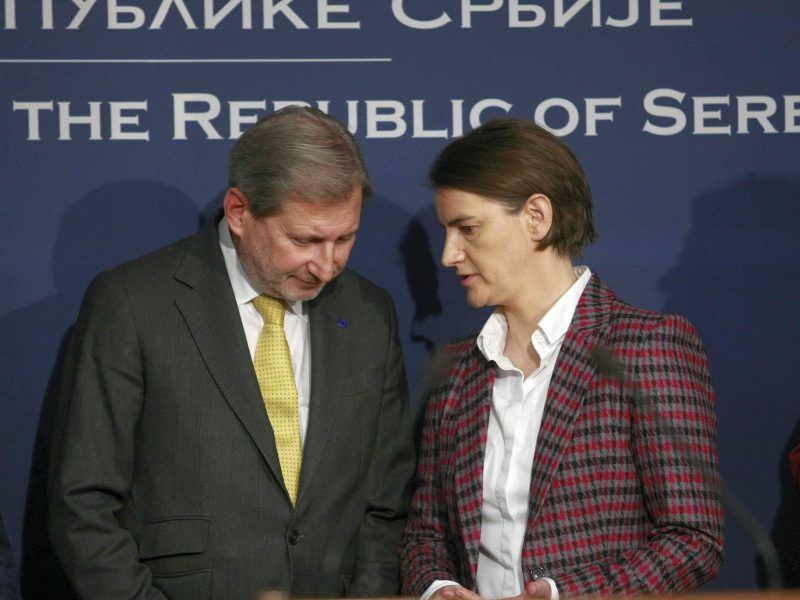 Serbia has vowed never to formally recognise Kosovo and Foreign Minister Ivica Dačić had earlier accused Brussels of hypocrisy in expecting “Belgrade to perform a historic harakiri, while even they in the EU don’t have a united stance on the Kosovo issue.” Five EU member states have not recognised Kosovo: Spain, Slovakia, Cyprus, Romania and Greece. Commenting on the Belgrade-Priština relations, Serbian President Aleksandar Vučić acknowledged that reaching a legally appropriate agreement with Kosovo was the biggest obstacle on the road to the EU. But he said he had discussed the matter quite openly with Juncker and Enlargement Commissioner Johannes Hahn. At a joint press conference with Juncker, Vučić said that it was important to find a compromise with the Albanians, whereby both Belgrade and Priština would lose something, rather than one side getting everything and the other losing everything. “If that is not possible, we’ll be living in the past,” Vučić said and added that he would like to avoid that. 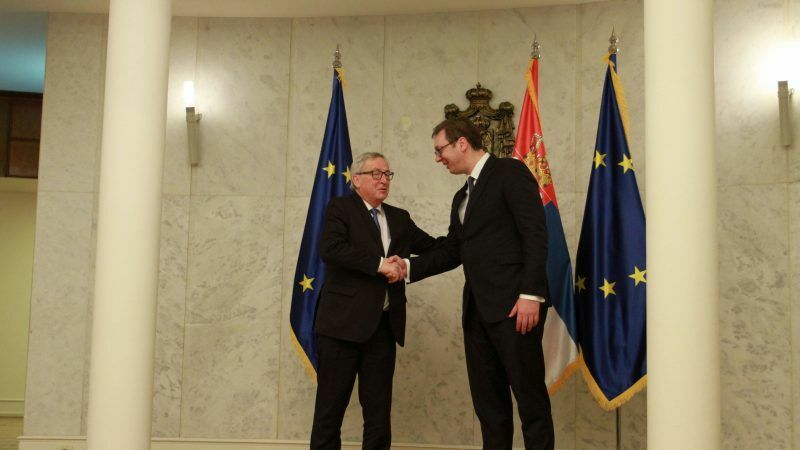 Juncker told officials in Belgrade that the date of Serbia’s EU accession does not depend on the Union but primarily on Serbia, repeating the “we are ready when you’re ready” line heard from many other European officials. Juncker also said that having 2025 as an indicative accession date was an encouragement because a country looking to join the EU deserved to be encouraged on that road. Juncker also once again made clear that any bilateral issues in the region, which is still recovering from the collapse of Yugoslavia and wars of the 1990s, must be resolved before accession. “We cannot admit in the EU countries that have not solved their problems, we cannot import bilateral disputes. It is important that those disputes are solved before accession.” Juncker said, adding that the EU wants to “provide stability to the Balkans rather than import instability”. He also said that Serbia does not need lecturing as it knows where it’s going. “After today, I am confident about the road Serbia is taking”. After Belgrade, Juncker will visit Montenegro, a leader in European integration in the Western Balkans which started accession talks in 2012. Juncker will then travel to Sarajevo, together with Hahn, and EU High Representative Federica Mogherini and then to Priština, where they are to meet with Kosovo officials. Before Belgrade, Juncker visited Macedonia and Albania. 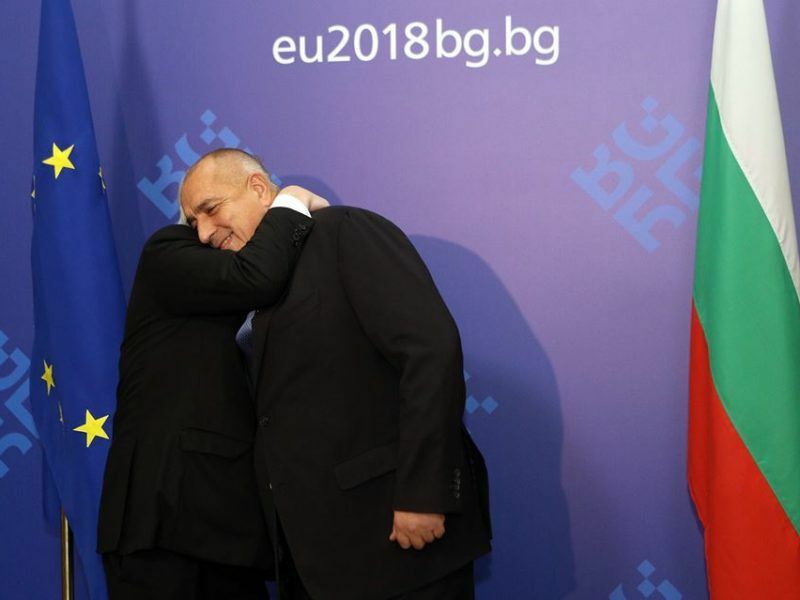 Juncker, Hahn and Mogherini will wrap up their several-day Balkan tour on March 1 in Sofia, where they will once again meet with the leaders of the Western Balkans Six, together with Bulgarian Prime Minister Boyko Borissov, whose country holds the rotating EU presidency. An EU-Western Balkans summit is due to take place in Sofia on 17 May.